There are times when we want to have a fast meal, and rather go to a fast food emporium or a quasi-fast food place; we will run over to Flemings Steak House. Here you can have quality food and if you sit in the bar area, you won’t feel bad about having one of the best burgers around. Why have a mediocre burger, when you can go to a steak house and have some real meat in a nice setting, not to mention that they have about a hundred wines by the glass. 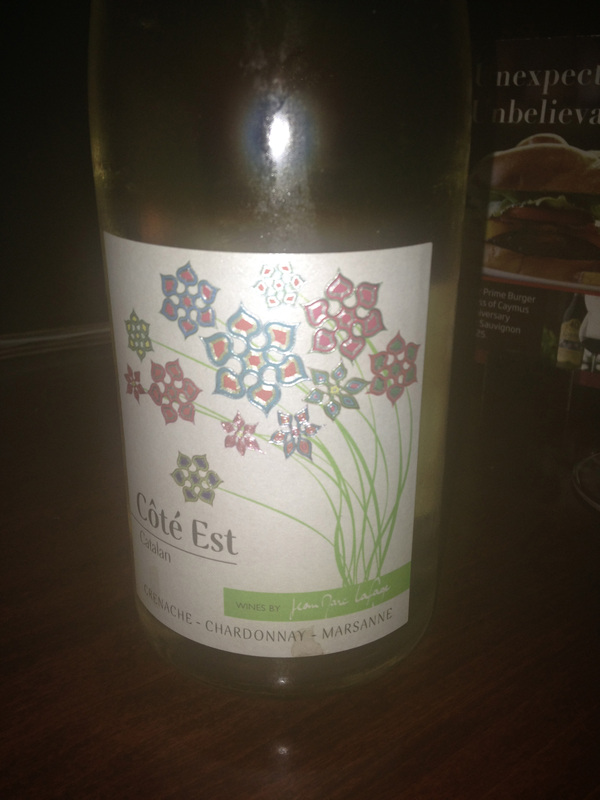 One of the wines we enjoyed that night was Domaine Lafage Cote Est Blanc 2013. This is a blend of Grenache Blanc, Chardonnay and Marsanne. This particular wine is from France in the large area known as Languedoc-Rousillon, which seems to be getting more popular, or at least I seem to be noticing more wines being offered from this area. This wine is from the IGP Cotes Catalanes, which sounds more impressive then the older version Vin de Pays de Cotes Catalanes, I guess the wine industry in France is trying to eliminate the old expression of “table wine.” This was a very refreshing wine on a summer evening and it had the taste of a French white wine, I am not sure, how to explain that, but it is true. 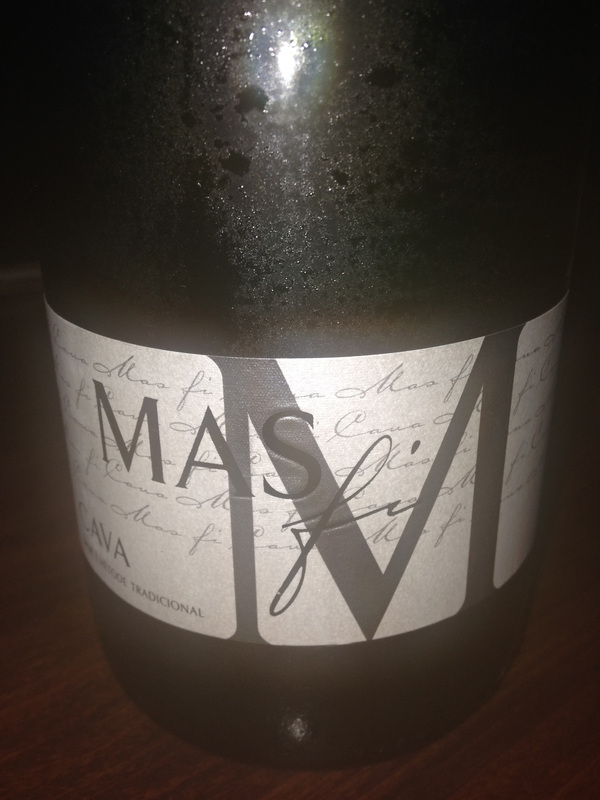 The other wine we were enjoying was Josep Masachs Mas Fi Brut Cava NV from Catalonia, Spain. I really have been enjoying these sparkling wines from Spain, while not as nuanced as Champagne, they are more affordable for the most part and they still feel festive. The traditional blend for Cava wines is Xarel-lo, Macabeu and Parellada, though since 1986 Chardonnay has been allowed to be used as well, perhaps to make the wine more world-wide friendly and accepted. I have to admit that both of the wines worked well for the evening, especially in the summer time and they did work well with the “bar food” that we stopped to get. This entry was posted in Dining, Wine and tagged Brut, Catalonia, Cava, Chardonnay, Cote Est Blanc, Cotes Catalanes, Domaine Lafage, France, Grenache Blanc, Josep Masachs, Languedoc-Roussillon, Macabeu, Marsanne, Mas Fi, Parellada, Spain, Xarel-lo. Bookmark the permalink.